Dracula Lives! 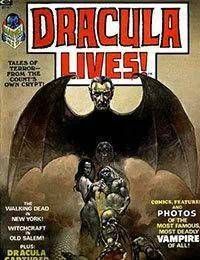 was a black and white magazine, starring Marvels Dracula. It lasted for 13 issues and had one Dracula Lives Annual.